Over 350 delegates attended the Wales Conference held in Newport on 16 April. Hosted by Gwent Federation, and based on the theme Regeneration, delegates were welcomed to the Conference by Val Robinson, Gwent Federation and Councillor Phil Hourahine, Deputy Mayor, Newport City Council. Kate Humble, writer and presenter. The Conference was also addressed by NFWI-Wales Chair Mair Stephens and Head of NFWI-Wales Rhian Connick. 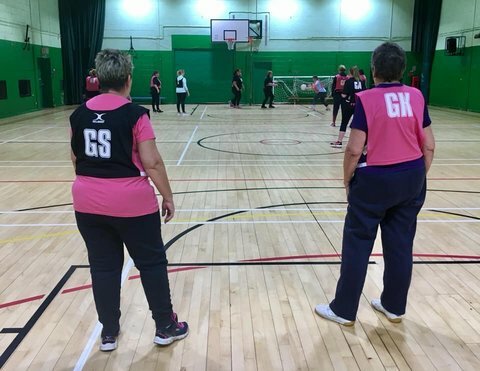 During the morning session, a Wales-wide Walking Netball project, in partnership with Welsh Netball, was launched. 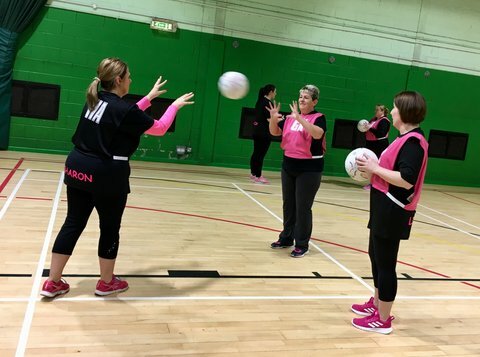 Supported by a grant of £18,487 from Sport Wales, the partnership would enable each federation in Wales to run 20 weeks of Walking Netball delivered by a qualified Walking Netball Coach provided by Welsh Netball, at a venue of their choice. The initiative would run for 18 months with sessions taking place from April this year. Launching the project to delegates, Ben Williams, Head of Community Development at Welsh Netball said that Welsh Netball was excited to be working in partnership with the NFWI-Wales in facilitating Walking Netball opportunities for WI members across Wales. WI member Siân Ponting from Llantwit Fardre Walking Netball Club shared the success of the pilot project delivered last summer. She said that the sport was accessible and inclusive to all regardless of age or ability, a team sport, and a good opportunity to meet new people and make friends. Initially set up with the aim of providing members with an opportunity to be active, Siân highlighted that participants felt healthier both physically and mentally and noted the important social aspect of the sport. The winners of the 2018 Recruitment Awards were announced. 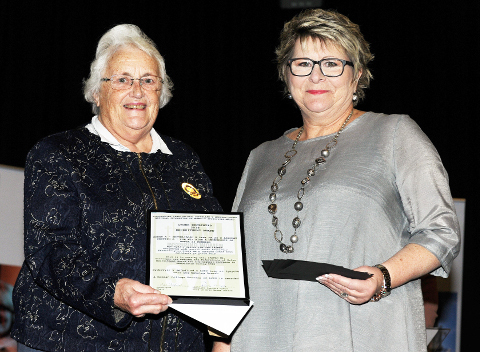 The winner of the ‘WIs with fewer than 25 members’ category was Skewen WI, Glamorgan Federation, and the winner of the ‘WIs with 25 members and over’ category was Portskewett & Sudbrook WI, Gwent Federation. 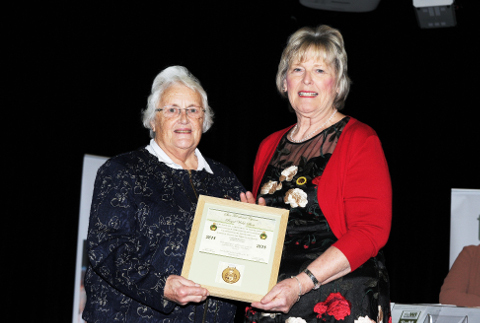 The winners of the 2018 Rose Bowl and Brecon Cup competitions on the theme Summer Glory were presented with their awards by NFWI Vice-Chair Patricia Tulip. 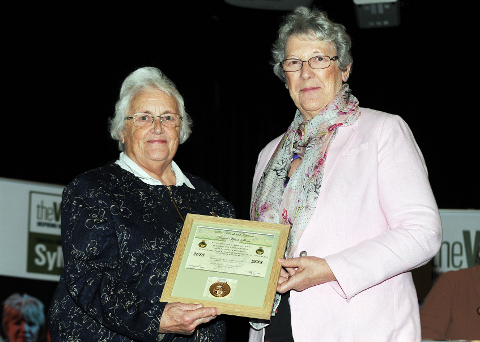 Myra Thomas from Upper Killay WI accepted the Rose Bowl award on behalf Glamorgan Federation. 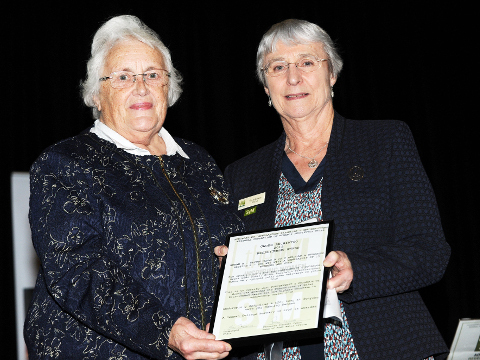 The Brecon Cup was also awarded to Glamorgan Federation and was accepted by Margaret Maguire, Upper Killay WI. Celia Rogers, Chair of Clwyd Flint Federation gave the vote of thanks and invited members to the 2020 Wales Conference in Theatre Clwyd on Sunday, 26 April. The Eve of Conference performance 'Alice in WI Land', organised and performed by members of Gwent Federation, provided an entertaining depiction of the WI.